Thread: Formula 140mm rotor adaptor options? Im using formula k24s and want to go down to a 140mm rear rotor. anybody have any experience with this? particularly, what are my options for adaptors? I have an avid 160mm rear adaptor that looks like it may work for a 140mm rotor once the spacers are removed. any ideas? appreciate the help. 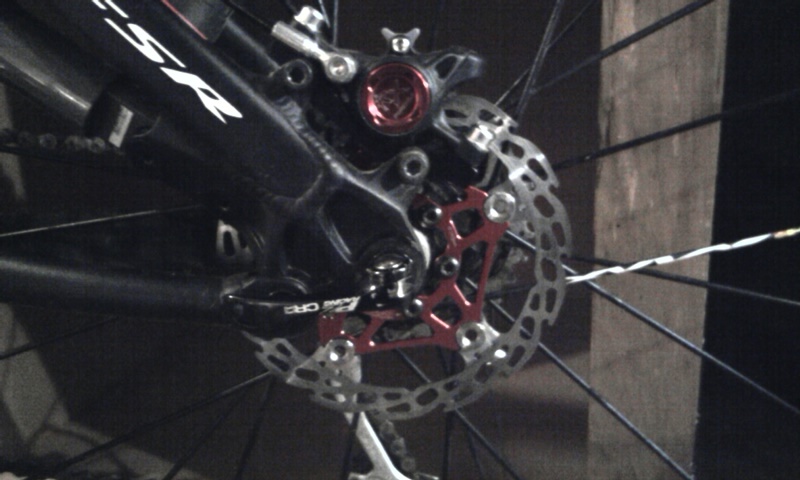 I use a Shimano front 160mm on the rear for a 140mm on my RX's. The Avid one I tried to use had clearance issues and it would've needed filing. Do a mock set up before tighting the bolts to make sure the caliper and adaptor aren't making contact where they are not suposed too. Any 160mm front bracket is also a 140mm rear bracket. True but not all adapters are compatible with all calipers. 160mm front will not work with R1 brakes may be a 180mm front may get you to 140 rear. Really? That's odd I am running 160mm adapter with 140mm rear on RX's. Warranty-speak. The bracket spec is the same. All current Formula calipers are post mount. Any IS bracket works as long as the caliper clears.